Hi I’m Holly Clegg! Over 25 years ago, I became passionate about healthy eating and the correlation with health and our diet. Today, with over 1 million cookbooks sold, my expertise on easy, healthy practical recipes with my trim&TERRIFIC® and Eating Well cookbook series gives you recipes and tools for a healthy kitchen. As author of the newly updated version of Eating Well Through Cancer: Easy Recipes & Tips to Guide you Through Treatment and Cancer Prevention, this cookbook creates appropriate food to address side effects of cancer treatment and healthy recipes for cancer prevention. You’ll find approachable simple, nourishing recipes using familiar ingredients to guide you in the kitchen for an overall healthier lifestyle. Cancer treatment is challenging but during and after treatment, eating healthful food makes a difference. I hope my BLOG becomes your recipe resource for a healthy kitchen for cancer prevention. Eating is a necessity and I love sharing my simple, super-satisfying recipes and articles for better health inspiration. See you in the kitchen! May is National Arthritis Month – and you might be wondering what does that have to do with me? But everybody can benefit from an anti-inflammatory diet and I have a cookbook, Eating Well To Fight Arthritis! Chronic inflammation, from environmental causes, stress even an unhealthy diet results in long-term tissue destruction and may be the underlying cause of chronic diseases such as some cancers, heart disease, diabetes, Alzheimer’s, arthritis – even aging! But the good news is you can start now by eating nutrition-rich foods that work against the inflammation from the inside out. 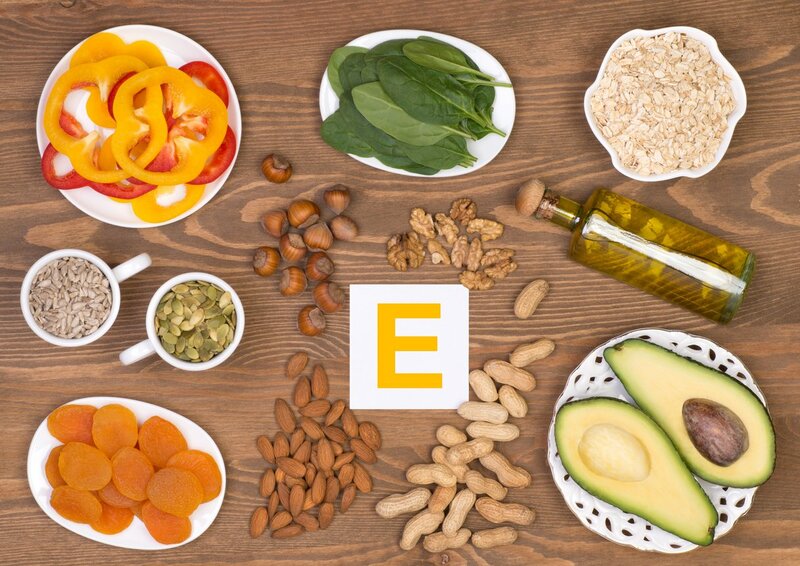 From reducing the risk of heart disease and stroke, lowering cholesterol, to reducing joint pain from inflammation, even lessening depression – research supports a long list of health benefits from eating foods rich in omega-3 fatty acids. Omega-3 fatty acids are essential for the body to work properly and we must get them through diet as they are not made in the body. Omega-3 supplements are popular, however, the body absorbs and uses the fatty acid much better from food. Foods high in omega 3 fatty acids include salmon, shrimp, tuna, walnuts, sardines, and flax seeds. My Energy Bites make a great snack with flaxseeds and Spiced Walnuts are a favorite of everyone. 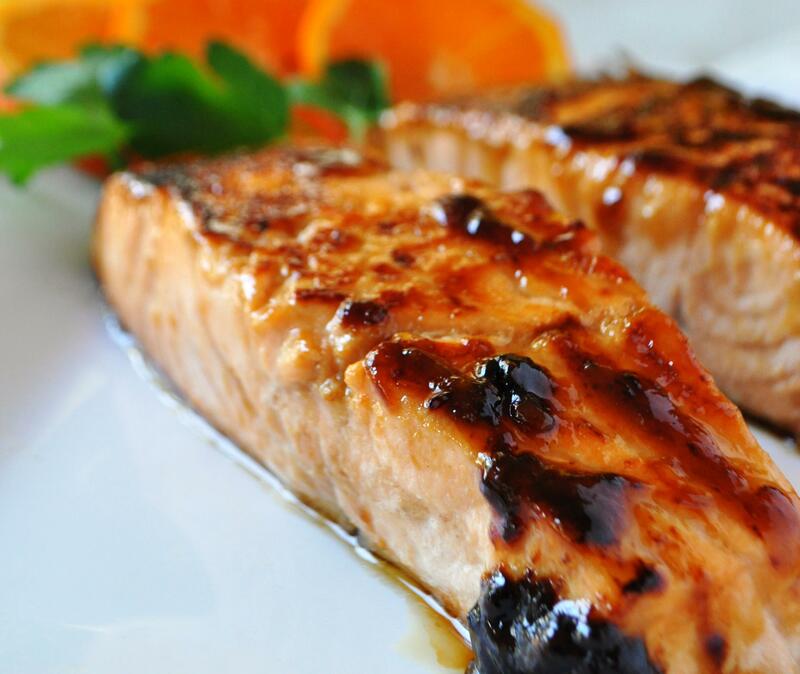 One of my very favorite recipes just so happens to be a healthy dose of omega-3’s – my Glazed Salmon from the Healthy Eating Chapter of Eating Well Through Cancer – and you will definitely be a salmon fan after this dish! Diabetic-friendly and gluten-free, the glaze on the crispy, crusted salmon takes only minutes to prepare, and even quicker to disappear from the plate. Folks tell me this is the best salmon they have ever had – my recipe even went viral on YouTube! The American Heart Association recommends at least two servings of fish (fatty fish preferred) intake per week for heart health. 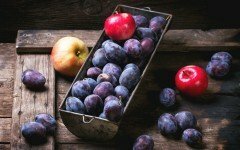 However, there is not one food or food group that is most important to survivorship. A healthy balanced diet within moderation, and according to the Dietary Guidelines, is the best recommendation for food intake. Salmon is an excellent source of omega-3 fatty acids, providing a host of nutritional benefits including reduced risk of heart disease and inflammation. Along with omega-3 fatty acids, fatty fish contains vitamin D, which helps to prevent swelling and soreness. Salmon is also a fantastic source of protein, vitamins A, E and B vitamins, and potassium. If oven roasting: depending on salmon thickness roast about 10 minutes per inch. Remember when cooking salmon, be sure to not overcook as it is best served golden brown on the outside with a warm rare interior. You might not realize the versatility of salmon and how easy it is to prepare. Salmon can be baked, broiled, grilled or pan-seared. You can buy it in already cut fillets that make cooking quick and easy. Trying to include salmon in your diet? Easy elegance! Diners say this is the best salmon they have ever had! Visit my blog for more easy healthy recipes to keep you well nourished! In a small bowl, whisk together honey, soy sauce, lime juice, and mustard. Marinate salmon in sauce in refrigerator several hours, or time permitted (do not discard marinade). In nonstick skillet coated with nonstick cooking spray, cook salmon on each side, 3-5 minutes, until golden brown, crispy, and just cooked through. Transfer salmon to platter. Add remaining honey glaze to skillet, and simmer, stirring until mixture comes to boil. Return salmon to pan, heat thoroughly, and serve immediately. Serving Suggestions: Green vegetable contrasts slightly sweet glaze. Try quick cooking couscous made with chicken broth. Terrific Tip: Whenever I need to marinate anything, I always use a plastic bag for easy cleanup. With over 1 million cookbooks sold, Holly Clegg has become a culinary expert on easy, healthy and practical recipes through her nationally recognized best-selling trim&TERRIFIC® cookbooks her Eating Well cookbooks, including Eating Well Through Cancer, (English, Spanish and Chinese editions), Eating Well to Fight Arthritis and Diabetic Cooking with the ADA. Clegg who attended the Cordon Bleu Cooking School, has appeared on Fox & Friends, NBC Weekend Today, QVC, The 700 Club, USA Today, Cooking Light Magazine, Web MD, and Huff Post. Visit her YouTube channel and her blog. 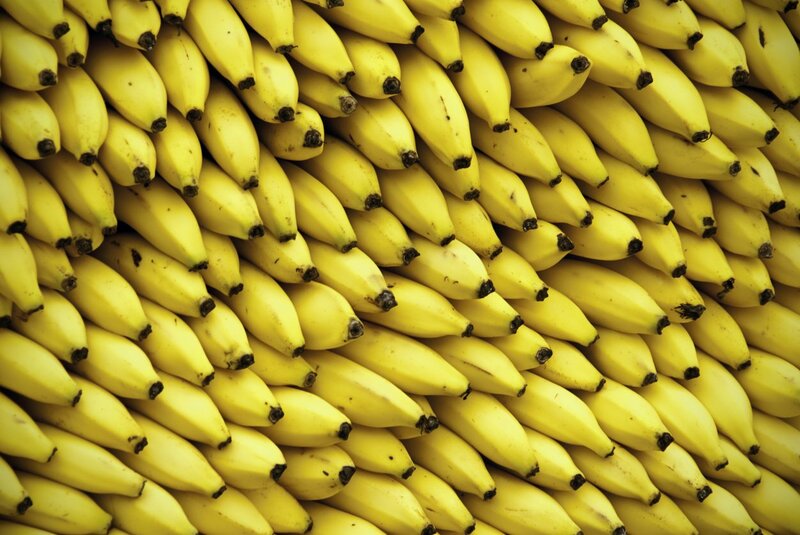 Bananas & Cancer: Is there a Link?